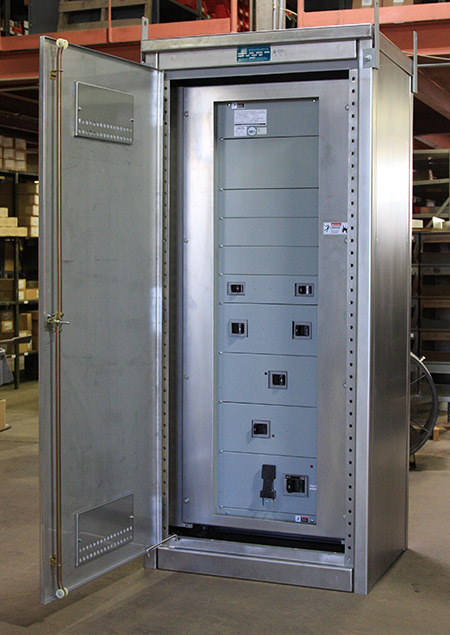 Penn Panel & Box Co. builds UL 67 listed panelboards with either Siemens or Cutler hammer circuit breakers. We manufacture retrofit packages, so that a new panel interior can be installed into an existing backbox to minimize installation time. These include new door-and-trims fronts custom designed to fit any site requirements. We have solutions for almost any configuration, whether it needs feed through lugs or a unique supply voltage system like 2Ø 5W. We can also integrate metering solutions, so that you can monitor your energy usage.